Talk about a halter with a tropical twist. 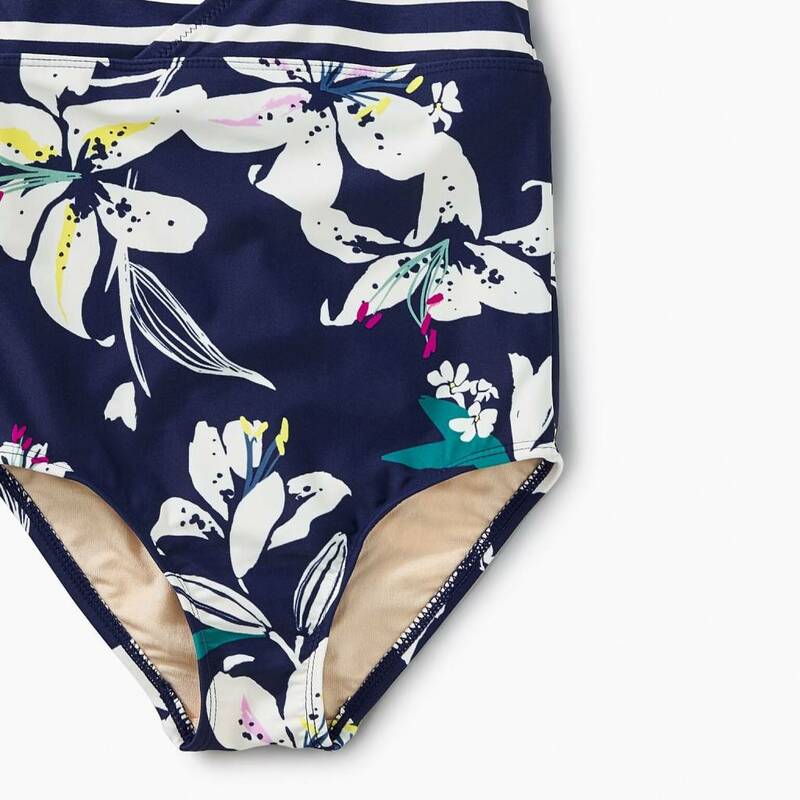 Classic stripes meet island florals for a standout style she'll love. Includes UPF 40+.